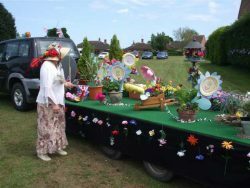 Check out the news archive for older stories. 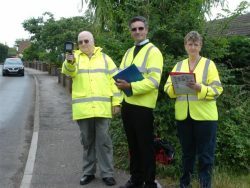 Any news we don’t know about? 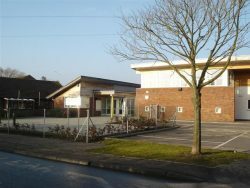 Meetings are held usually on the 4th Thursday in the month (not always so please check “What’s on”) at 7.30pm in the David Myhill Room at the Village Hall in Jubilee Park, Yaxham. 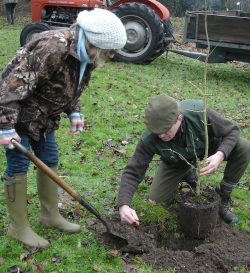 Any member of the public is welcome to come along and hear discussion about current issues or you may speak about any parish matter during the public session that is held at the beginning of each meeting. Yaxham is a small rural village situated in the heart of Norfolk, about sixteen miles to the west of Norwich and two miles south east of the nearest market town, Dereham. 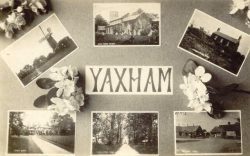 There are about 772 inhabitants in settlements of Yaxham and Clint Green with farmland between. The medieval Church of St Peter with its late C11 or early C12 circular west tower lies at the heart of the village conservation area. 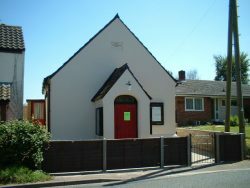 There is a modern village hall built in 1977 and recently extended with excellent facilities for a variety of functions. 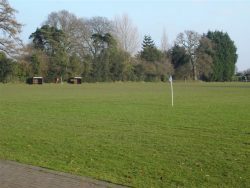 The adjacent Jubilee Playing Field where Yaxham Football team plays is also the venue for car boot sales and occasional outside fetes and dog shows. There is also a young childrens’ play area with swings and climbing frame. Yaxham House is a former rectory built 1820-22 and Holland’s Hall in Brakefield Green is a late C16 farmhouse. Boronia Cottage has 1611 scratched in an east gable and Willow Farmhouse is late medieval with C16 and C17 improvements and modern additions. 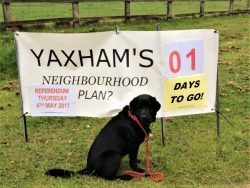 Yaxham has a VA Primary School which has been completely rebuilt to accommodate up to 105 pupils. 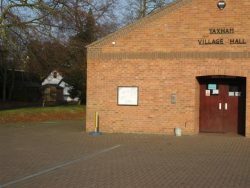 The village has a great Village Hall with a licensed bar and a Social Club. 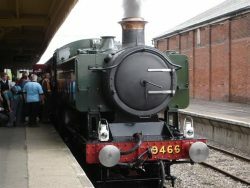 There is also the Mid Norfolk Railway for enthusiasts with weekend trains travelling from Dereham to Wymondham and stopping at Yaxham station. 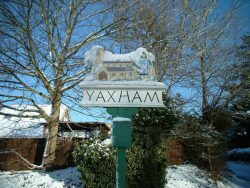 Access to Norwich is easy along the A47 and there is also a regular hourly bus service during the day connecting Yaxham to Dereham and to the Norfolk and Norwich University Hospital and the City Centre.